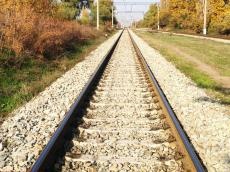 Interest of cargo shippers in the International North-South Transport Corridor project is growing, Eduard Alyrzaev, first deputy CEO of Russian Railways Logistics (RRL), told Trend April 6. "There is interest on the part of forwarding companies, cargo owners, major Russian exporters," he noted. "For example, authorities of the Stavropol province, as well as the major Russian steel companies are interested in the project. As for foreign countries, we are in contact with Finland, which exports a fairly large amount of paper to India." Alyrzaev went on to add that the operators and countries participating in the transport corridor project have become more active. At the same time, it is necessary to further develop the marketing part of the project, he said. "Together with ADY Express and ADY Container, our Azerbaijani partners, we are actively promoting and advertising the project in Azerbaijan, Russia, Iran, India and even European countries," he noted. "The biggest cooperation in this direction is between Russia and Azerbaijan. There are some results; however, a lot of work is needed to be done." The North-South transport corridor is designed to connect Northern Europe with India and Southeast Asia. The route will also connect the railways of Iran, Azerbaijan and Russia. At an initial stage, six million tons of cargo are planned to be transported through the corridor per year and 15-20 million tons of cargo in future.